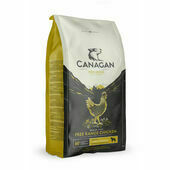 Containing a 12kg bag of Canagan Scottish Salmon & Vegetable and a 12kg bag of Canagan Free-Run Chicken, this Canagan dog food multibuy will provide your pet with two delicious meals to look forward to and ensures that they will be able to enjoy each and every mouthful without having to worry about feeling ill afterwards. 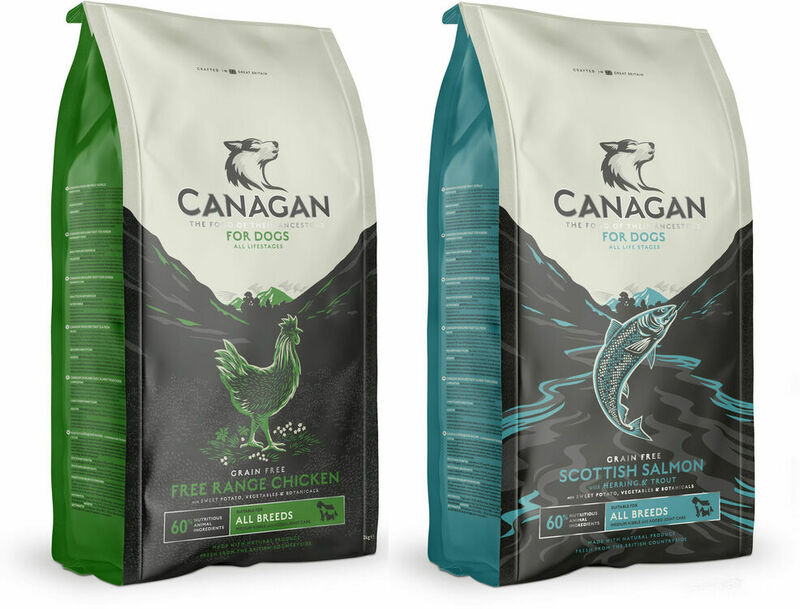 Made using 100% hypoallergenic dog food recipes, these meals can be fed to dogs of all ages and will provide them with absolutely everything that their bodies require with regards to nutrition. 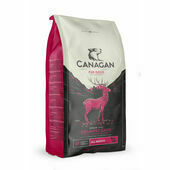 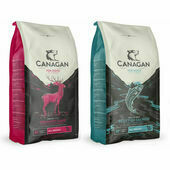 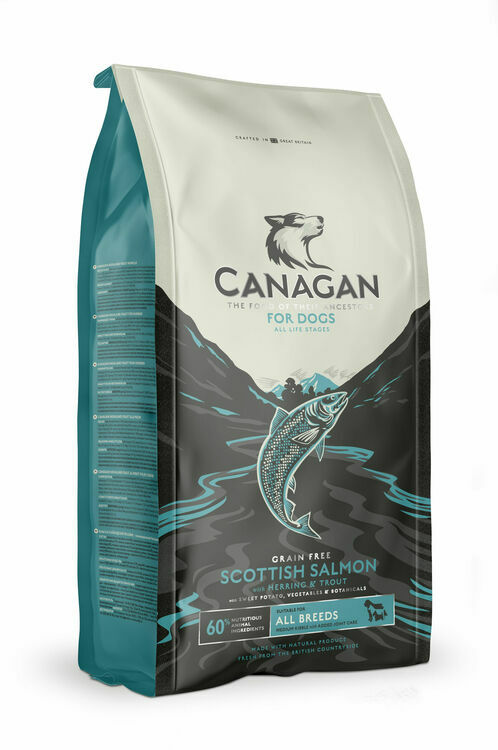 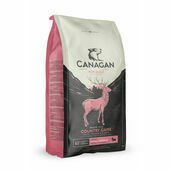 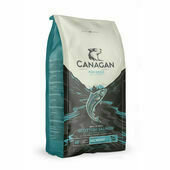 Containing Scottish salmon, white fish, herring and trout, this grain-free dog food from Canagan has been put together using a hypoallergenic recipe that contains a remarkably low level of carbohydrates and dramatically reduces the likelihood of dogs experiencing upset tummies or unpleasant allergic reactions. 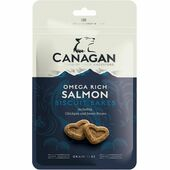 Extremely palatable and rich in wholesome, natural ingredients, Canagan Scottish Salmon & Veg also contains marigold, cranberry, and chamomile, which work together to ensure that the immune system receives the support it requires, stress levels are reduced, and the urinary tract is kept in good condition. Made to mimic the diet that is as close as possible to those that the ancestors of modern dogs would have lived on in the wild, Canagan Free-Run Chicken dog food has been created using an expertly balanced blend of high-quality meat, vegetables, and herbs in order to ensure that it is rich in nutrients and has a flavour that will be irresistible to your pet. 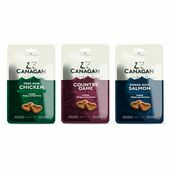 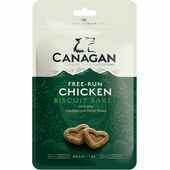 In addition to its rich meat content, Canagan Chicken Grain-Free Adult Dry Dog Food also contains sweet potato, a potent source of slow-release energy, seaweed, which supports the thyroid and controls metabolic functions, and powerful antioxidants that will reinforce your pet's immune system. What's more, this hypoallergenic dog food has also been enriched with Vitamin C in order to improve the condition of the unitary tract. 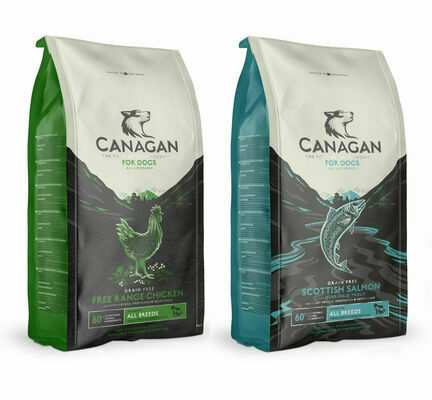 Canagan chicken dog food is a healthy, delicious and responsibly developed dog food which is perfect for dogs of all breeds.